Creating your own cookbook for family and friends? Want it to appear as if it's a family heirloom? That's what we were aiming for with our wedding favors (yes we didn't finish them in time for the wedding itself and we're going to be scrambling to finish in time for our 1st anniversary). Here are some tips for what you need to do, from font selection, to color choice, to section dividers, to necessary content. First, your typeface. 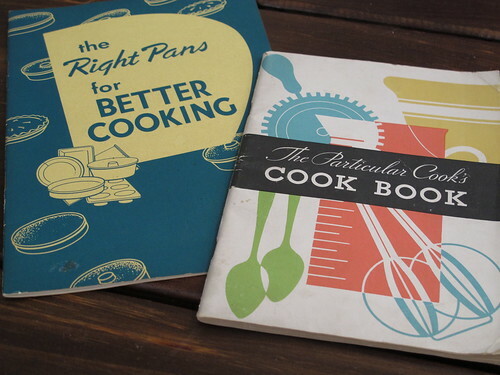 Many cookbooks will feature at least two typefaces - one san serif and one cursive - on their cover. For the text itself, Times Roman features prominently. Second, color. 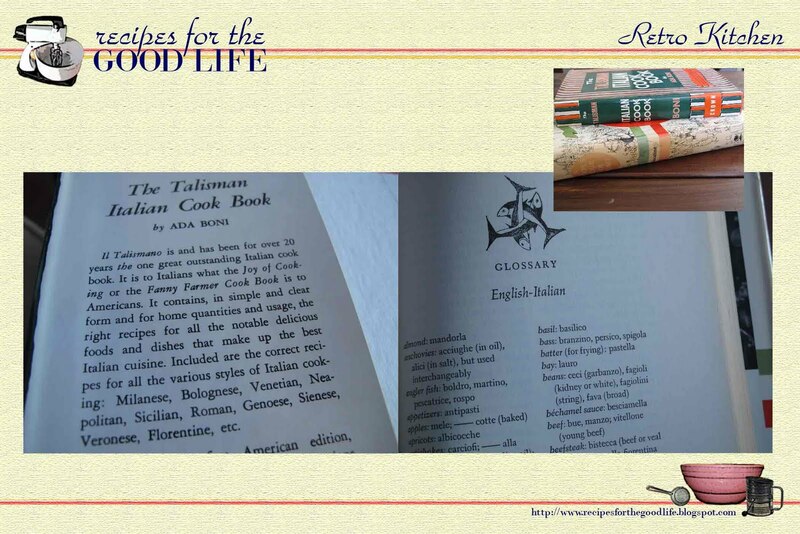 If your cookbook favors a particular country's cuisine, you may want to incorporate colors from that country's flag. Remember that full color is more expensive than black and white or spot color. 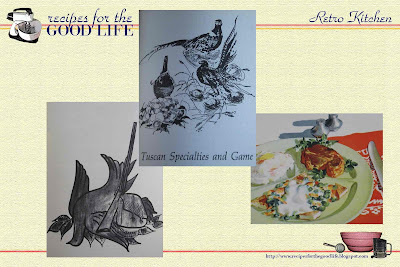 Unlike today's cookbooks which feature page upon page of full color photographs, many yesteryear cookbooks restrict color to the covers. 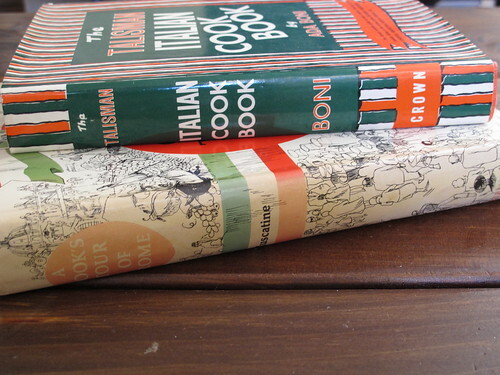 For example, the two Italian cookbooks in the third photograph above, c.1977 and c.1964 from top to bottom, have no color within their pages. Both their dust jackets, as well as their clothbound covers, feature color. 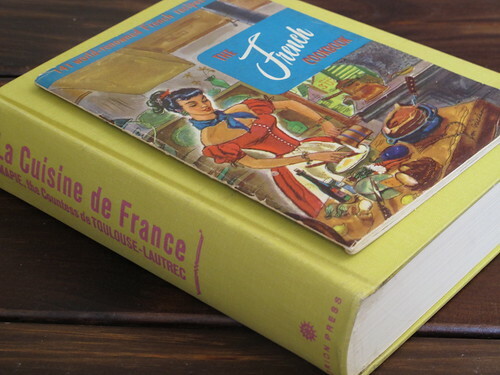 The softcover, The French Cookbook, c.1965, features a full color illustrated cover and then employs spot colors pulled from the cover throughout its pages. Third, illustrations. 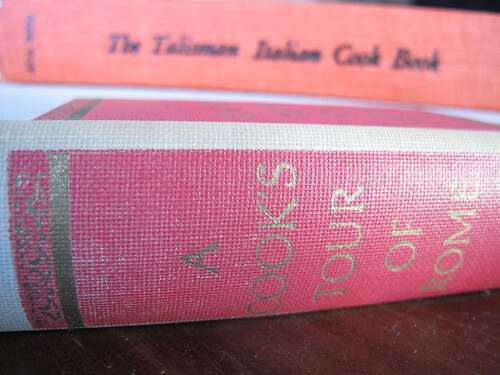 While reference cookbooks, for example, The Talisman Italian Cook Book, may not include any graphics - line drawings or photographs - most are illustrated. 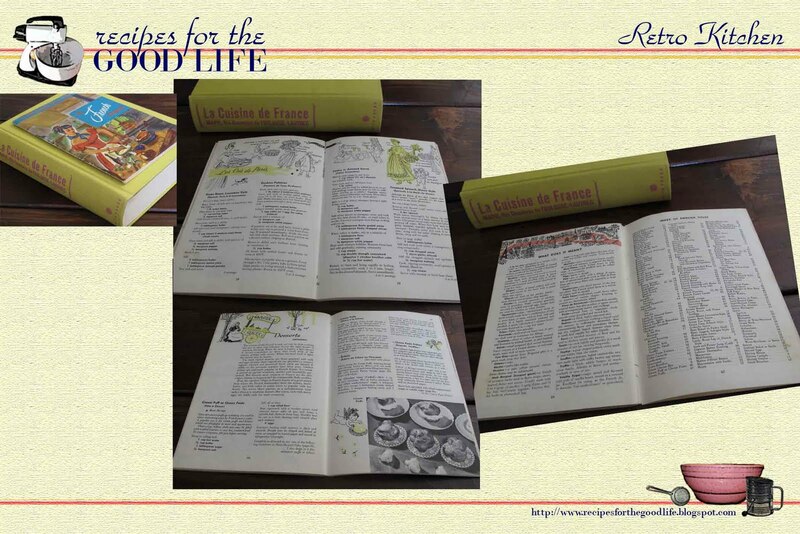 All promotional cookbooks, such as the two in the first photograph, have either illustrations or photographs. 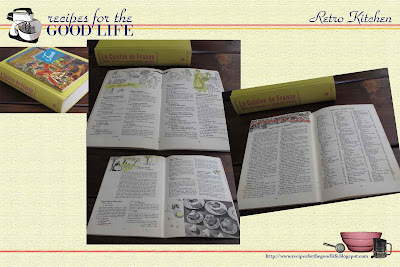 The softcover, The French Cookbook, has both illustrations and photographs. Illustrations can either be black and white or color. To see more examples, check out Flickr. 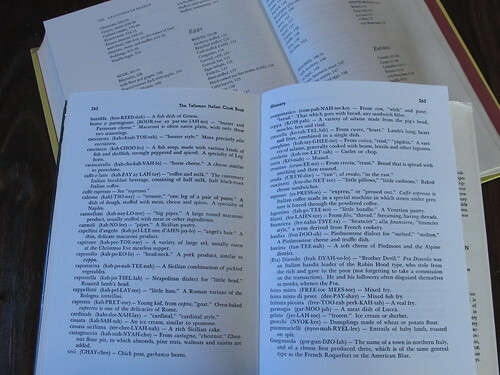 Fourth, glossary and index. 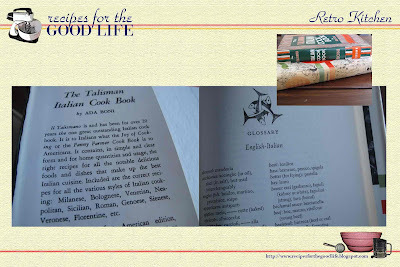 Most cookbooks over 50 pages have both a glossary as well as an index. In the next Designing Your Retro Cookbook, I'll cover the recipes themselves. 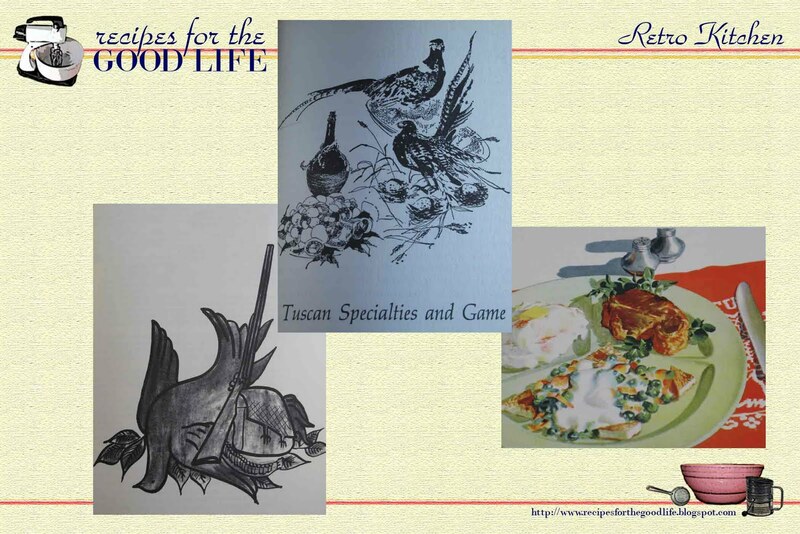 Good luck with designing your retro cookbook!